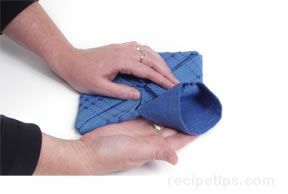 Folding napkins into special designs is a fun way to decorate your table for any occasion. Use a bunny napkin fold for Easter, a tulip fold for a spring luncheon, or a pocket fold for inserting utensils. These are just a few of the many designs you can make to decorate your table.